James Mickey Younkins, aged 69, passed away peacefully at UPMC Presbyterian Hospital on Wednesday, January 30, 2019. Mick was born on July 1, 1949 in Natrona Heights, one of four children, to Marion (Foster) and the late Russell C. Younkins of Freeport, PA. Mick married his best friend, Terry (Leslie) Younkins on July 7, 1973. They have two wonderful children, Leah of Moon Township, and Matthew (Priya) of Campbell, CA. He is also survived by brothers Leonard (Debbie) and Preston (Emily) Younkins, all of Freeport; and his beloved Airedales, Zeke, Cali and grand dog Penny. God, in his infinite wisdom, took his sister, Lida Seagriff (James), at almost the same time that Mick was lifted up. Mick was a 1967 graduate of Freeport High School, obtained his BA from IUP and Master's from Oklahoma University (both in Economics) and also graduated from the National War College. He was proud of his military career in two branches of service, Lt. Col. in the Army Reserves and Captain in the U.S. Marine Corps. Mick also had a career in River Construction and Salvage. 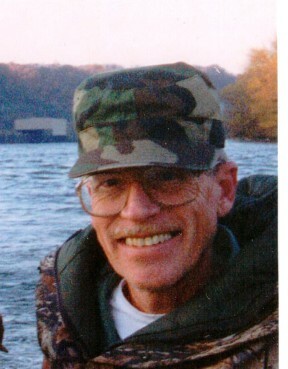 He was a member of the Millvale Sportsmen’s Club where he enjoyed hunting, fishing, and competitive shooting. His passion was training Airedales with his wife and daughter. Memorial visitation Sunday from 1 PM until time of service 2 PM at Copeland’s Moon Township, 981 Brodhead Rd. A private burial will be later at the National Cemetery of the Alleghenies with full military honors. In lieu of flowers, please donate to Airedale Rescue c/o Rebecca Preston, 6444 Suncrest Ct., N. Richland Hills, TX 76180 or the charity of your choice.